Let's talk outerwear. We're somewhere near the halfway point of winter and I don't know about you, but my wool coat isn't exciting me anymore. That's why I've been eyeing these mixed media jackets. They are giving my coat closet some energy and still keeping me warm this winter. 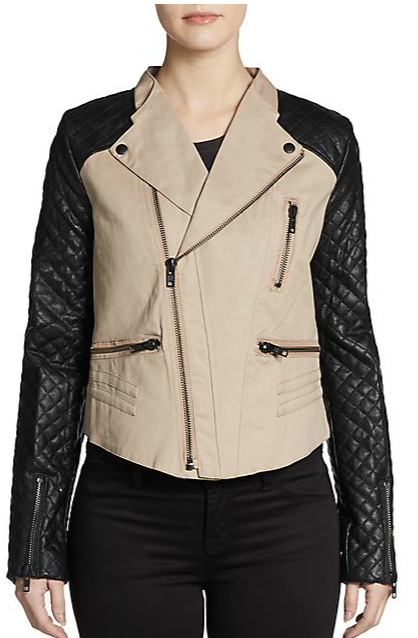 This jacket is almost 70% off right now. 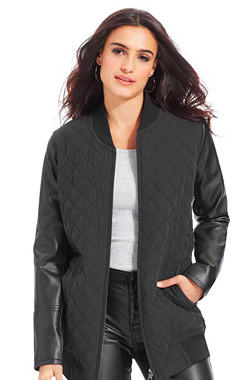 I love the tough girl style with the softer quilted sleeves. Speaking of amazing sales, check out this jacket. 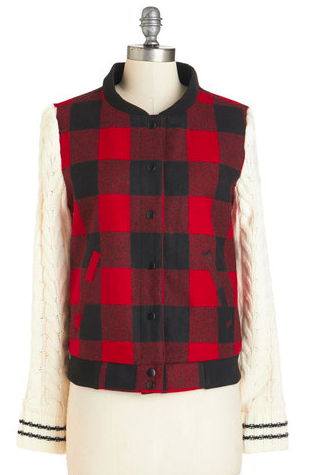 I love some buffalo plaid and this makes it a little preppy! Simple details, including the contrasting zipper makes this coat pop. 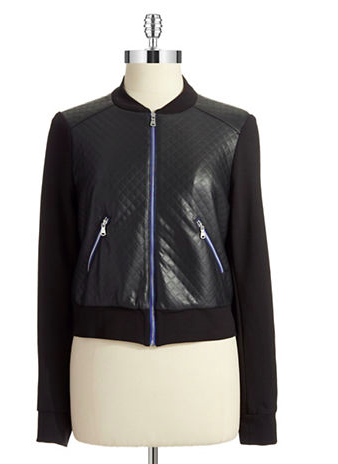 I liked this bomber because its not the usual cropped waist. It's a bit more relaxed and casual. So let's mix up the outerwear conversation and mix in some alternatives. Mixed media coats.